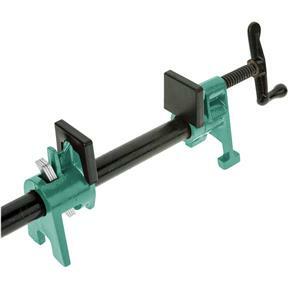 These A Frame Pipe Clamps provide a stable base and clearance for your hand when tightening for easy glue-ups. A three plate clutch allows easy adjustment and no slipping under the highest clamping pressure. Standard 3/4" threaded black pipe is available in a variety of lengths at most hardware stores for your widest clamping needs.